Perfect for the wine lovers - a unique and elegant way to display your wedding table numbers. 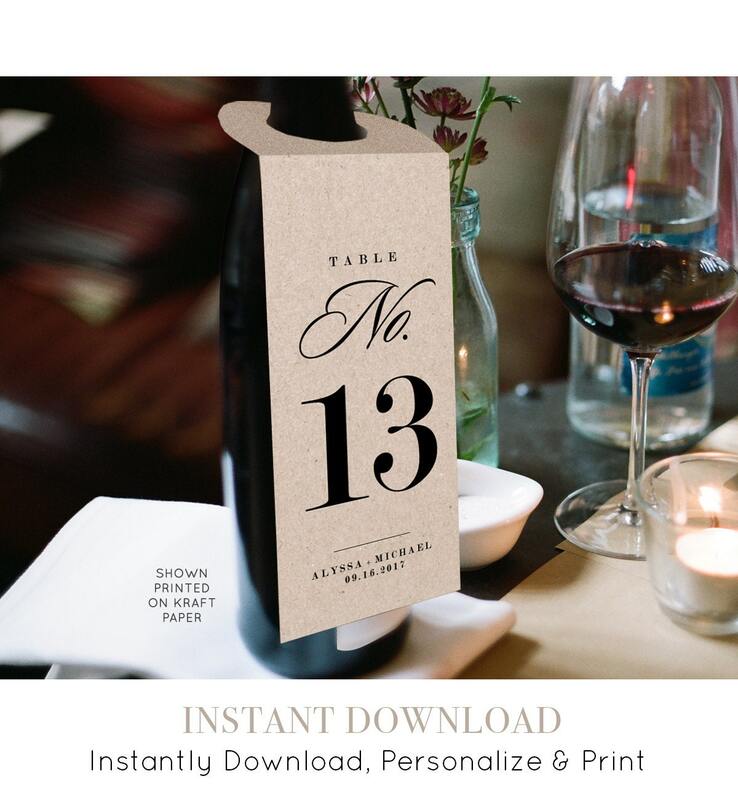 This listing is an "INSTANT DOWNLOAD" that includes a high resolution, printable "Wedding Table Number Wine Bottle Tag" template in a PDF format for you to edit and print at home or your local copy shop. 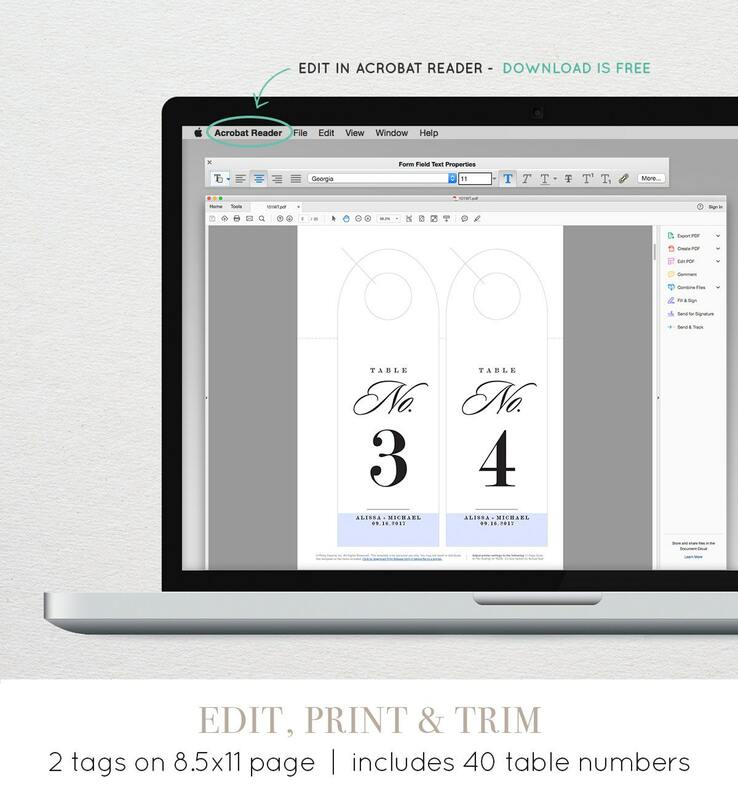 Create multiple versions with different text and print as many copies as you need. Sorry, we do not offer any customizations. Please view listing images carefully before you purchase. *Copyright of Minty Paperie. For personal use only and not for resale. 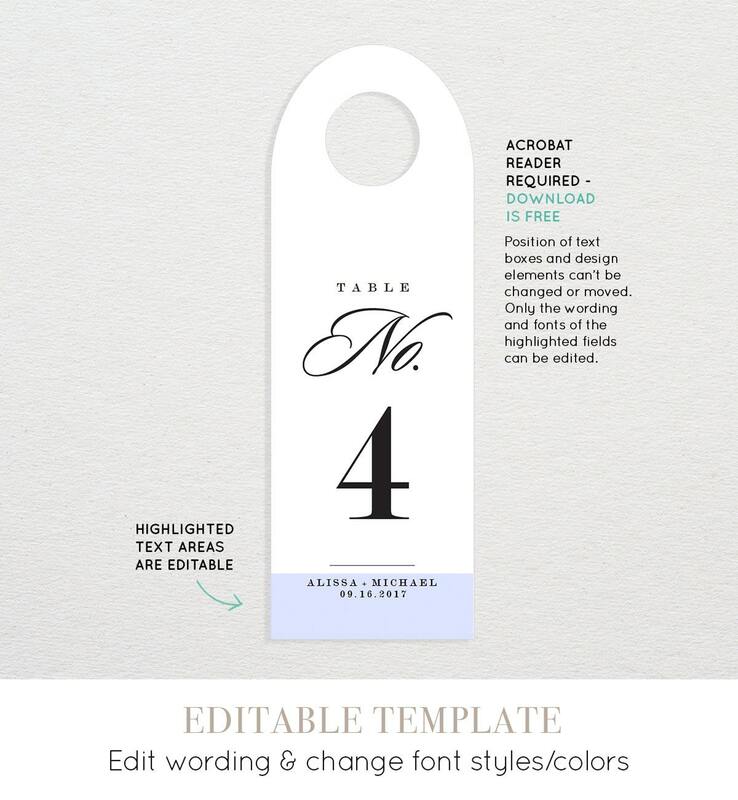 No part of any content, description or template may be reproduced in any form.